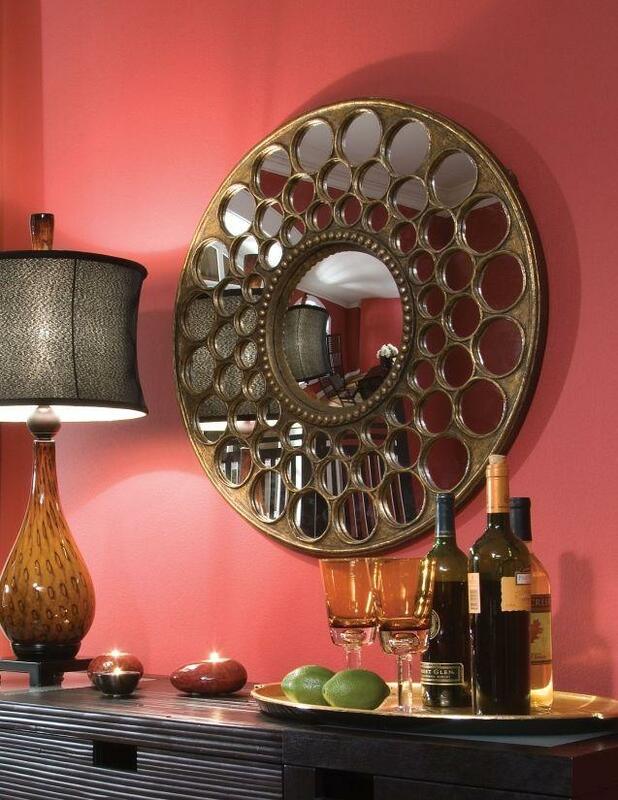 A convex mirror of with a gold and mirror frame is a striking decoration for your dining room, hall or foyer wall. The extra circular mirrors on the frame capture light and toss it about the room, while the rich gold finish on the frame and convex shape will add a touch of luxury to the space. A leading internet and retail company sells the stylish convex mirror on the right for $895. 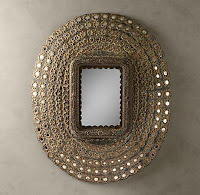 The decorative Gold Leaf Wall Mirror on the left has a similar look, but costs only $217.99 at CheapChicDecor.com. The striking mirror on the left is also convex, with a gold and mirror frame like the more expensive mirror. Why pay more for the look you are after when you don’t have to? All it takes is careful shopping to find a product with a similar look for less money. 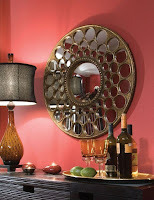 Visit www.cheapchicdecor.com for more details on this fabulous mirror and other “looks for less”.